Tell me how your windshield wiper blades are and I will tell you the condition of your car. Worn out wiper blades are an indication that vehicle maintenance has been neglected. This negligence puts drivers and passengers at serious risk in bad weather conditions. Rainy or snowy conditions most certainly affects driver visibility. Ninety percent of driving decisions depend on good vision. Therefore, a clean windshield is super important. Streaking and smearing impair vision and are often times caused by worn windshield blades. Statistics show that 20 percent of vehicles going through inspection have worn wiper blades. Replacement wiper blades are not expensive and they are a snap to change. Why put it off until you drive in ugly weather conditions and your blades are chattering and smearing the windshield? Do you need different windshield wiper blades for the winter period? We all tend to run to the auto parts store when winter is approaching, to get winter replacement wiper blades. Usually, winter blades are covered with a rubber membrane which are supposed to better fight against icing. However, before you make the purchase you should carefully check them. Several types of winter blades listed in catalogs of aftermarket parts or even those recommended by car manufacturers are not that effective. Several models are shorter than the “summer version” and do not cover enough windshield surface. Others are long enough but do not have the “banana” shape allowing for proper contact on the windshield over the full length. In either case this results in reduced visibility for the driver. Windshield wiper blades should be checked regularly to ensure they offer maximum performance. If you need to replace them do not compromise on the quality and ensure they provide good coverage and adherence to the windshield.And if your windshield is cracked or pitted, it may need to be replaced at San Diego windshield replacement or another company, as long as it’s reputable. If you are unsure if the model you are considering meets those criterias ask the auto parts store about their return/credit policy. Once tested, you should be allowed to return them if the results are not conclusive. Also, don’t be afraid to ask your local mechanic for some sound advice. 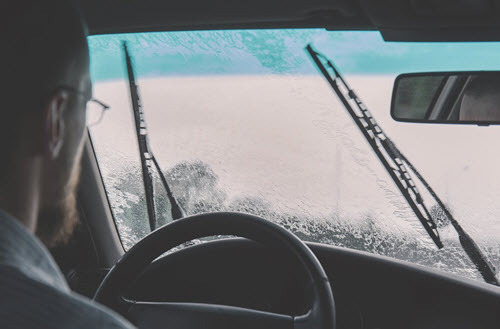 They constantly replace wiper blades on a wide range of car models and they should be able to tell you about the do’s and don’t for your particular vehicle. Replacing windshield wiper blades should be simple process …. but don’t jump the gun and make a quick decision. You may regret it next time you drive rainy or snowy weather.